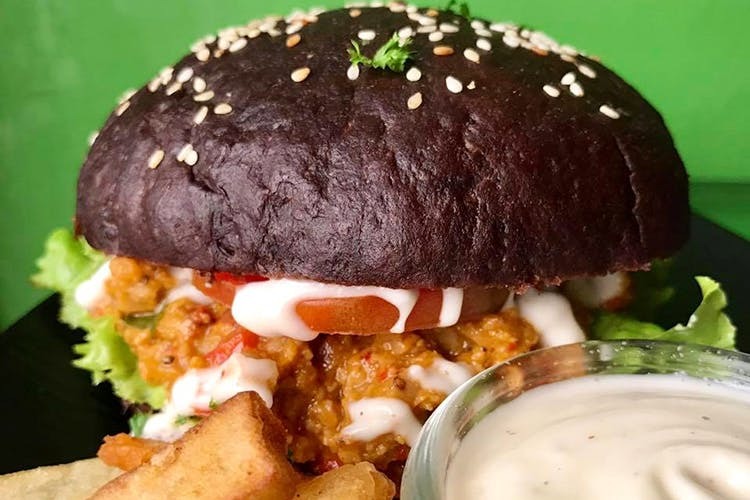 Carrots, Bangalore’s best-known vegan restaurant, has added zing to its menu with mock-meat burgers and monster shakes. Perfect for your tummy and Instagram! A favourite with vegans in the city, Carrots has now embraced crazy food trends. Now, you can chomp on Juicy Sloppy Joe Burgers that are made with mock meat and veggies before being doused in mayo that’s vegan and made in-house. We have to say that black buns do make the dish way more interesting. The Potato Desi and Peri Peri Burgers are also popular picks. When you feel like slurping on something, try out their freak shakes. Chocolate, vegan whipped cream, and biscuits — all make an appearance in these monster concoctions.